Builder, Riverview Custom Homes; Interior Designer, Paul Lavoie, Paul Lavoie Interior Design. Lighting throughout from The Lighting Centre; Hardware throughout from Banbury Lane Design Centre; Ortal fireplace from Hearth + Home Fireplace; Art above fireplace from Newzones Gallery of Contemporary Art. Photograph by Jared Sych. Sherie and Marshall Toner met in February of 2002, when they were set up by their friends on a group outing that then led to a one-on-one date. “We have a close circle of friends, and it was really odd that we hadn’t run into one another,” says Sherie, who works in media sales for Corus Entertainment. Much like the couple’s serendipitous meeting, the way they ended up in their house also seemed to them like an act of fate (with a little help from a friend). The Toners knew they wanted to build a new custom home, but there weren’t any properties for sale at the time in the neighbourhoods they wanted. So the builder they had selected, Christopher York, president of Riverview Custom Homes, delivered flyers throughout the neighbourhoods asking if anyone was considering selling. In a stroke of luck, they got a response almost immediately, a deal was negotiated, the property was theirs and they set about building their dream home. 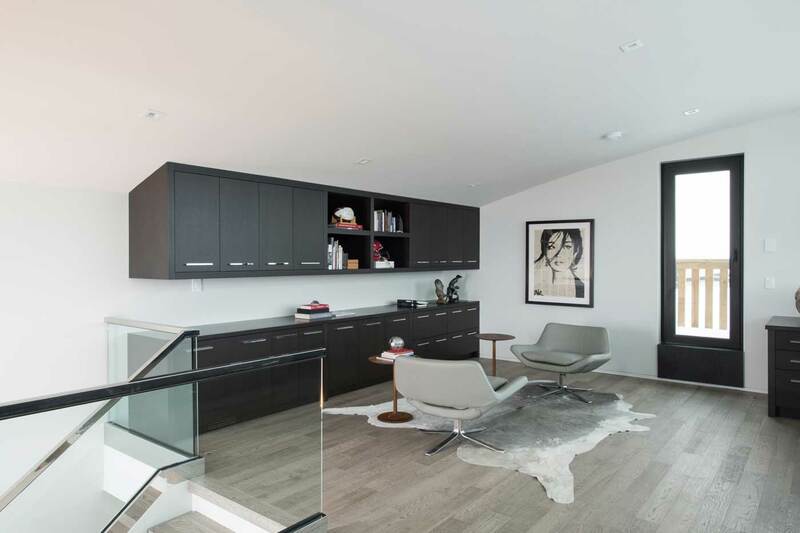 Overlooking downtown and the neighbourhood of West Hillhurst, the 4,500-square-foot house took two-and-a-half years of planning and building to complete. 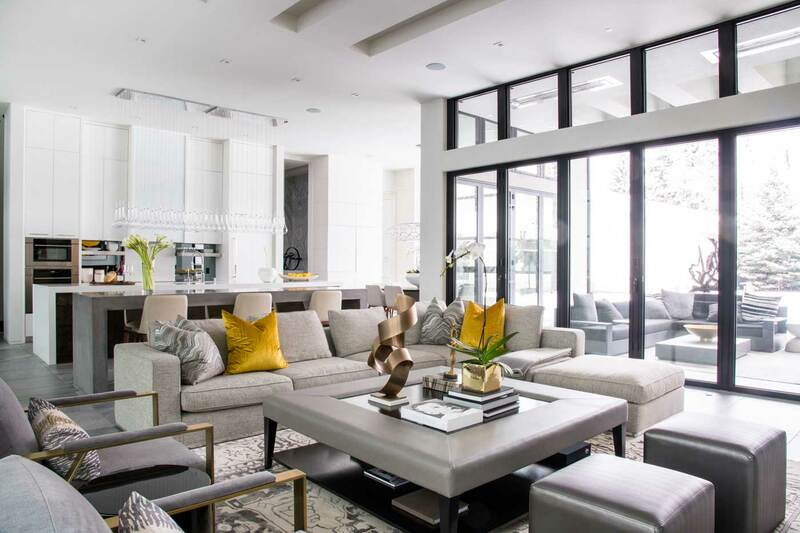 While the design was a joint effort between the couple, their builder and interior designer Paul Lavoie, Sherie (an Avenue Top 40 Under 40 alumnus) was the driving force. “This home, I love it. It’s got Sherie’s touch and feel all over it,” Marshall says. Sherie says she collected ideas for the house over a 10-year period, inspired by magazines, TV shows, travel and advice from their friends. “Entertaining is a big part of our world and we wanted something where we could have friends and family over and have them feel comfortable,” she says. While the kitchen was originally at the back of the house, Lavoie revamped the floorplan to place the kitchen at the centre of the home. “You’re going to live in the front of the house with that amazing view; I don’t want you to be at the back of this house,” Lavoie says he told the Toners. The new plan wrapped the entire front section of the house in floor-to-ceiling windows tinted black from the outside to provide a bit of protection from the sun without sacrificing any of the impressive view of the city. 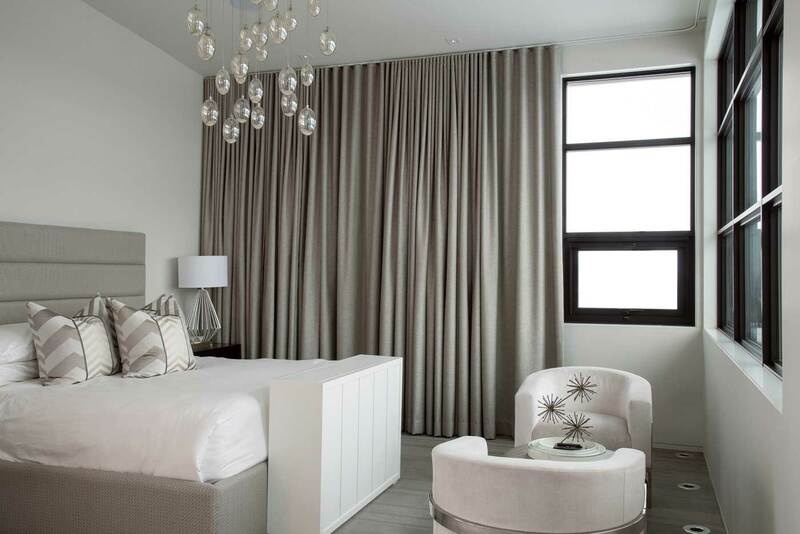 Interior designer Paul Lavoie says that lighting a house can make or break an interior design. Here are five tips that he lives by. 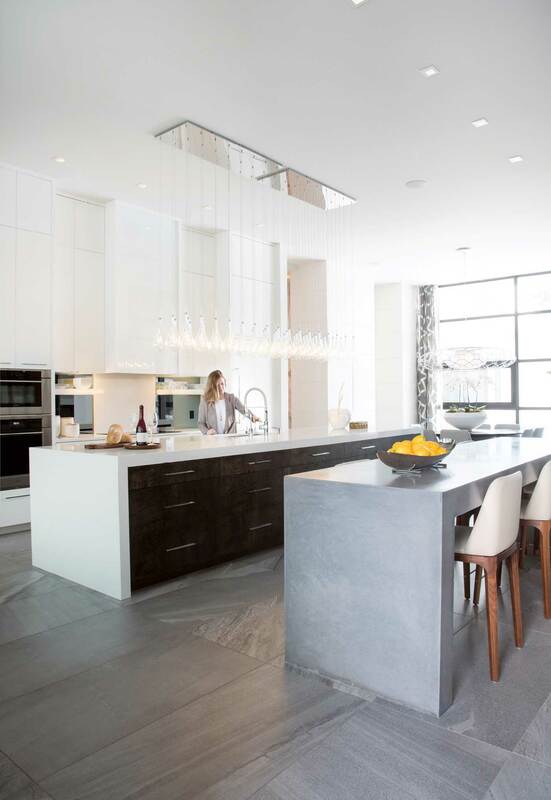 White decorative cherries in kitchen from Interior Living; Countertop by Caesarstone; Kitchen faucet from The Royal Flush Kitchen & Bath Boutique; Appliances direct from Wolf and Sub-Zero; Concrete dining bar by Sculptural Design; Bar chairs from 4living. Photograph by Jared Sych. Tamo wood fronts on the drawers add warmth to the white interior of the kitchen, while a custom concrete dining bar parallels the Caesarstone island for a contemporary finish. Dining table from Limitless Calgary; Dining chairs from 4living. Photograph by Jared Sych. A large single pendant light made of intricate open-work cage metal in a silver leaf finish adds a shadow texture to the sleek dining area. Living-room couch from Robert Sweep, Armchairs from Bondars. Photograph by Jared Sych. The kitchen opens up to the dining and living area, and the couple can expand the living space by opening the accordion-style windows to an outdoor living room, complete with a fireplace and overhead heaters. 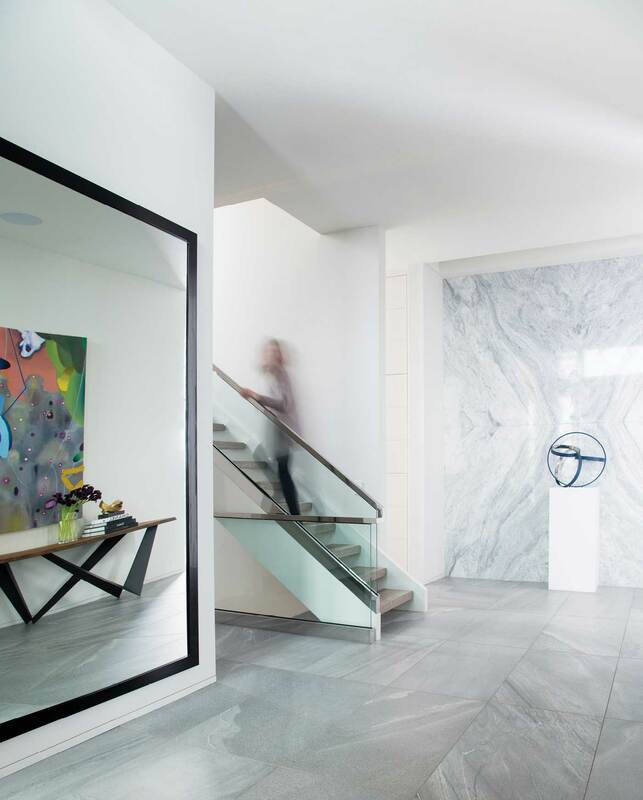 Foyer mirror custom made by Corner Framing Studio; Foyer table from Bondars; Painting in foyer by Mark Mullin; Marble wall from Stone Selection. Photograph by Jared Sych. The foyer exudes grandeur with a 12-foot ceiling and book-matched marble wall opposite the door as a dramatic point of interest. 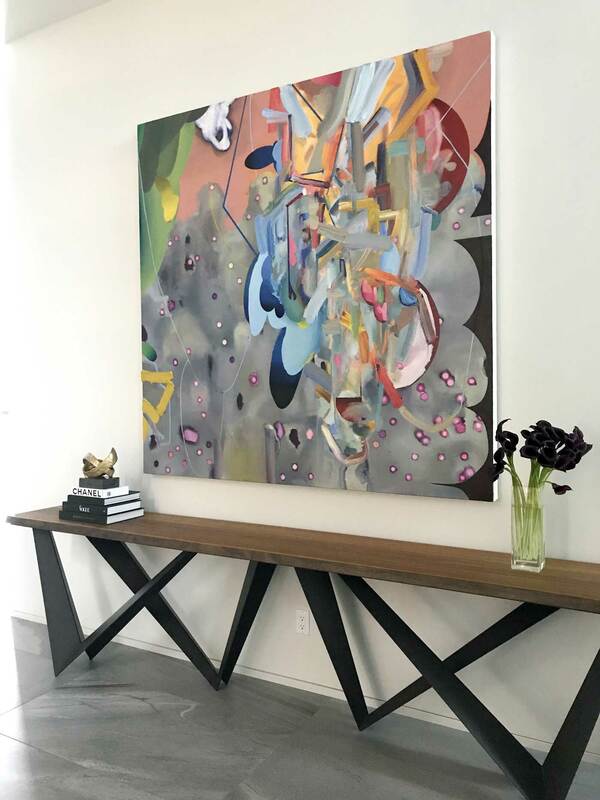 Artwork by Mark Mullin adds a splash of colour. A closer look at the artwork by Mark Mullin in the home’s front entrance. Inside the powder room on the main floor. The 4,500-square-foot house is also home to this beautiful den. 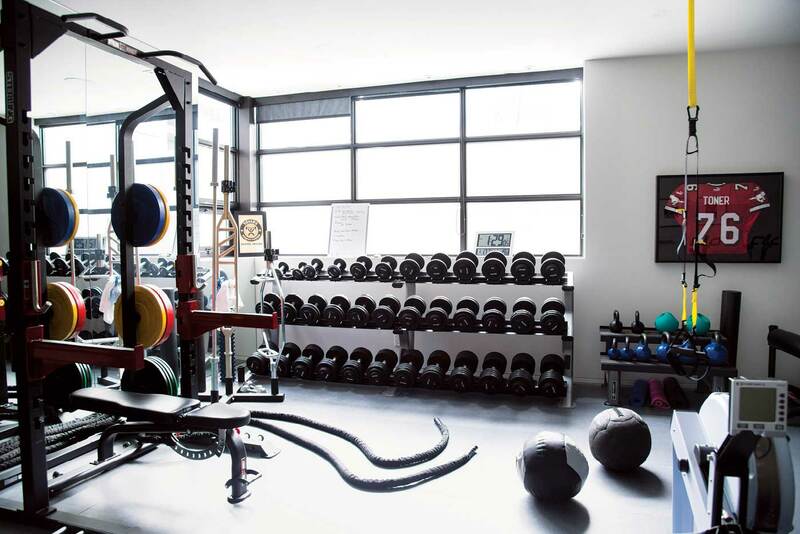 The home gym is as impressive as the rest of the house, with five- to 90-pound dumbbells, a squat rack, industrial ropes and various types of cardio equipment. Bedroom armchairs from Bondars. Photograph by Jared Sych. 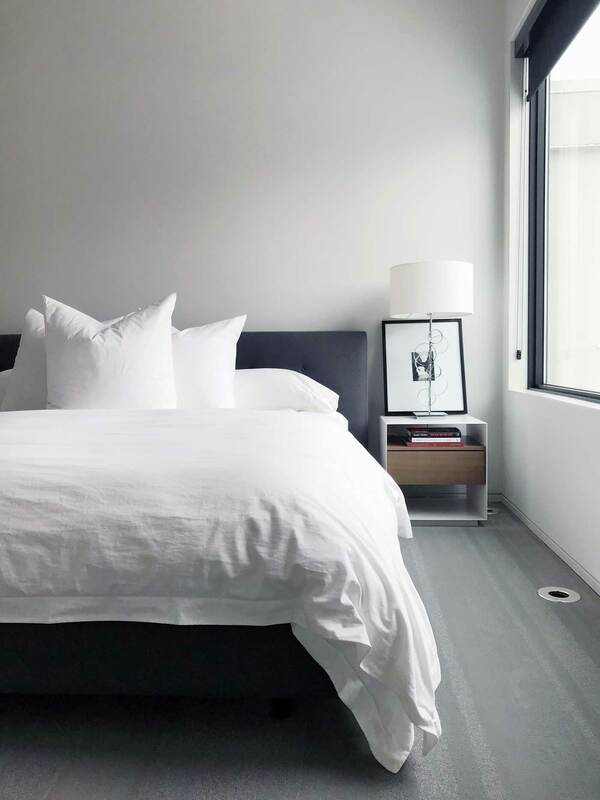 Neutral tones in the main bedroom echo the palette of the rest of the house, while wooden side tables add a punctuation of natural warmth. Ensuite countertop by Caesarstone; Ensuite bathroom faucet from The Royal Flush Kitchen & Bath Boutique; Ensuite artwork from Newzones Gallery of Contemporary Art. Photographs by Jared Sych. 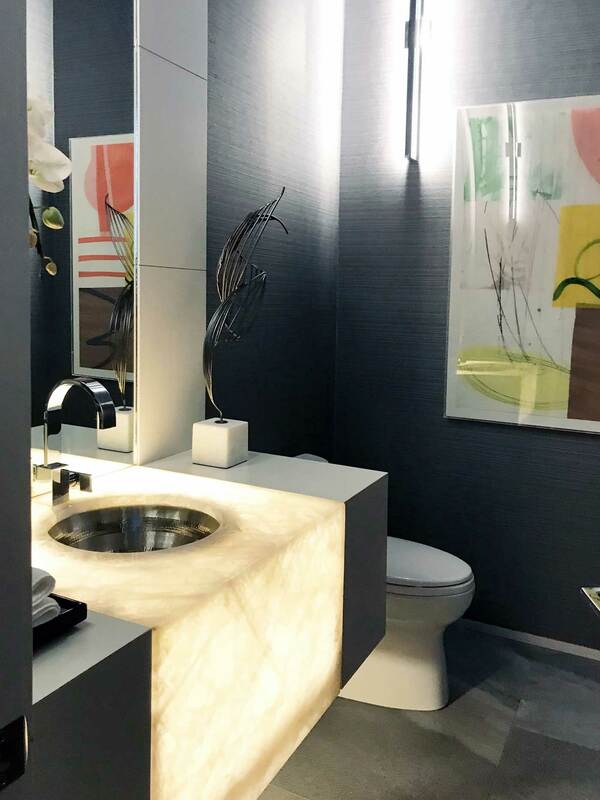 Left: A natural stone runway with in-floor lighting leads from Sherie Toner’s walk-in closet through the ensuite bathroom to the bedroom. Caesarstone countertops and lacquered MDF cabinetry echo the kitchen finishes. 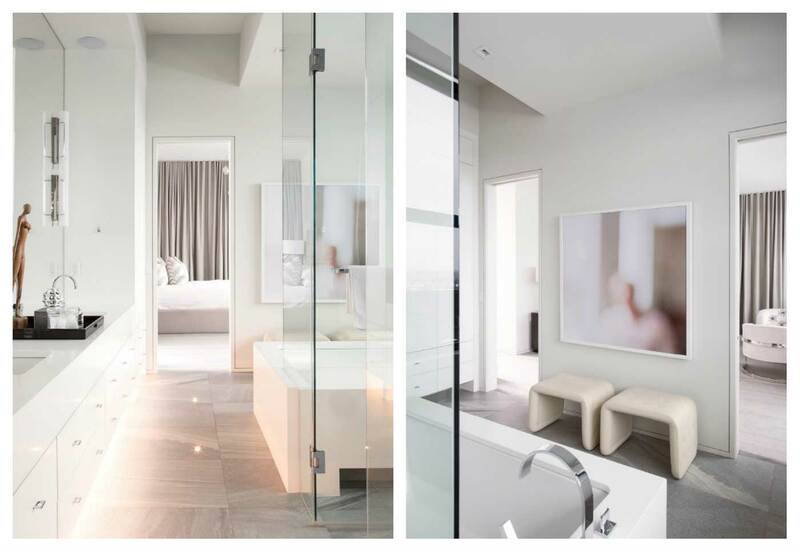 Right: The glass walls of the walk-in shower accentuate the views of the city. 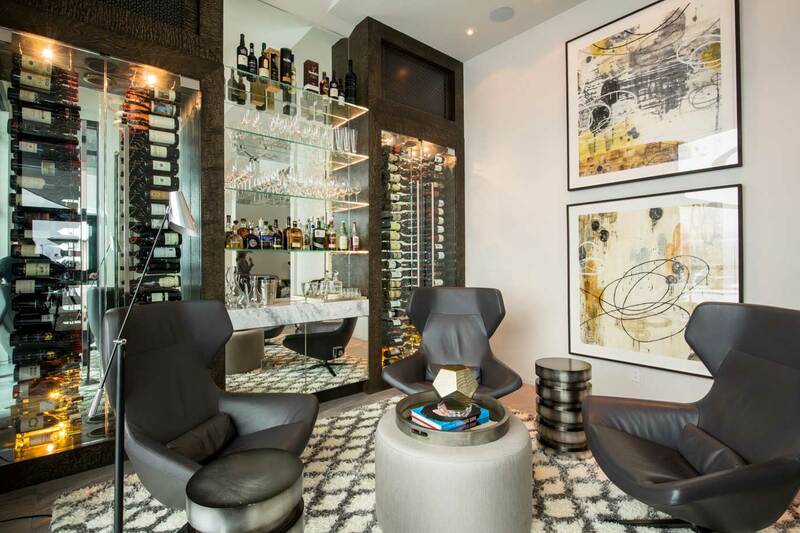 Leather stools beneath the art piece mirror the natural materials used in the rest of the home. The main bedroom has an impressive walk-in closet complete with eye-catching lighting. There’s a cozy guest room on the second floor. This loft area acts as a stylish office space in the Toner home.